The best denture option! Start a new life experience today. With Snap in Dentures you will get a strong steady bite and an amazing, secure and confident new smile! You won’t have to hide your teeth anymore. Smile proud and openly! Get in touch with us so we can look at your x-rays and give you a FREE EVALUATION. You can return home smiling with new teeth after just one 8-day vacation. Let us help you restore your confidence. Take the first step to start enjoying life again! Doctor German Arzate have more than 20 years of experience in Dentistry, placing Dental Implants, and practicing Advanced Cosmetic Dentistry and cosmetic dental rehabilitation and now, also is now one of the very few dentists certified as a diplomate by the American Board of Oral Implantology/implant Dentistry (ABOI/ID). He and all our dentists are a well trained team of professionals prepared to help you with your dental problems in Cancun. These are the most affordable implant dentures in the market, changing the life of hundreds of patients every year. This is the process to get back the smile and confidence. 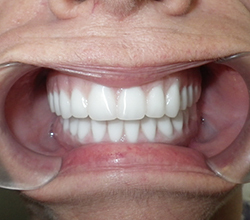 Get a FREE evaluation to see if you are a candidate for our palateless implant denture! 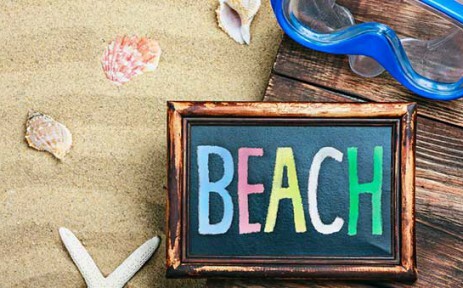 TIME TO ENJOY THE BEACH! Check these testimonials. Real people talking about their experience getting affordable mini implant dentures and how it changed their lives. 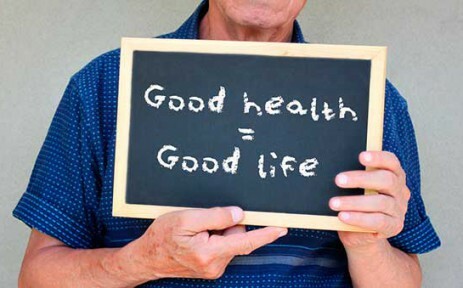 Snap in Dentures can also improve the quality of your life! You won't need to hide your smile anymore. We feel honored every time a new patient arrives at our clinic because they have chosen to trust our dental specialists to help them. Snap in Dentures use mini implants to stay in place, providing great primary stability in just 8 days. You can choose the shape, size and color of your new teeth! 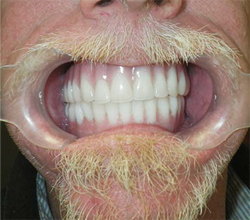 The best implant denture alternative! Discover a way to restore your smile for a fraction of the price from dentists in USA. Our dentists in Cancun have the best implant denture alternative! 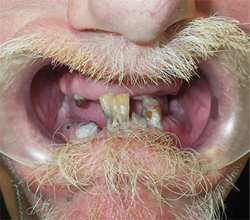 These are examples of what implant dentures like Snap in Dentures can do for you. Get the complete smile makeover and show off the most beautiful hollywood smile you never thought you could get. 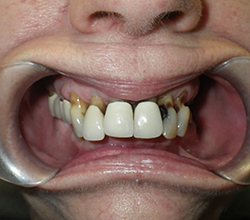 This patient was using partial dentures on top and full dentures in bottom that shifted a lot. 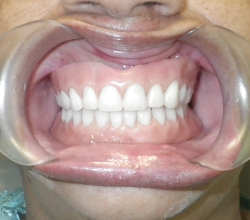 Snap in Dentures stay in place with mini implants. Here we can see a patient who had lost most of the function of his teeth. In about a week he was able to smile, speak and eat normally without pain. 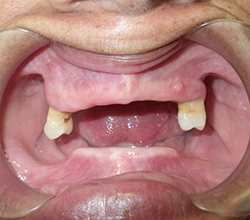 This patient had to deal with constant infections, loose teeth and pain. Now she wants to smile all the time and people tell her her smile is beautiful. Why Snap In Dentures is your best choice? Why get Snap in Dentures? 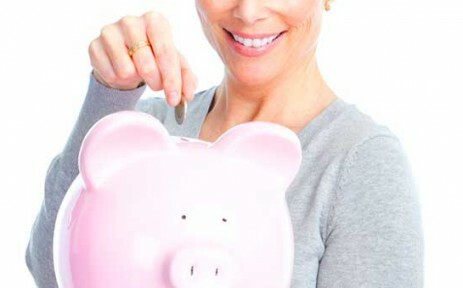 How much are Snap in Dentures? How long does it take to get Snap In Dentures? 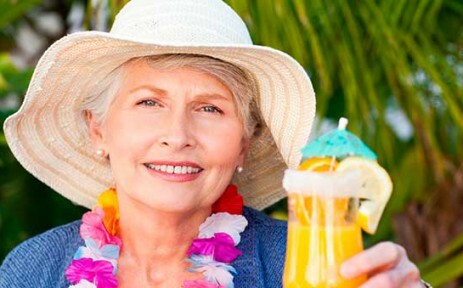 You can have Snap in Dentures done in only one single trip to Cancun. 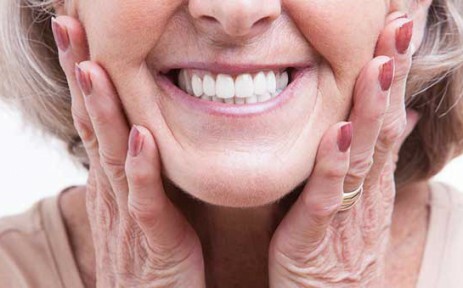 One of the most important things about our dentures is their great anchorage. You will only need a quick and minor surgery with local anesthesia to set the Grade 5 Titanium mini implants! When people have decayed teeth, gaps or even have lost all of their teeth, the bone in that area starts receding or shrinking.